I apologize profusely ahead of time to all Russians, Serbians, Latvians, Asians, and Belgians. I started out writing something totally different and then the second paragraph it changed...so I had to go with it. That's how my little mind works...and the dialect might be way off, but in my head it worked. The prompt for today is "It has to be aliens" - which can be found at "We Work for Cheese". We are halfway through the "30 Minus 2 Days of Writing" exercise in all things futile and nerve bending...but I enjoy the hell out of it! Alexei Petrokova was convalescing in a hospital in Lower Manhattan when his sweetheart of 25 years ago learned of his condition. "I turned on the radio and there was the Sting's song, 'Englishman in New York' -- when I heard the words 'I'm an alien - I'm a legal alien. I'm an Englishman in New York.' I thought of my beloved and wondered where on this Earth he might be." said Romaramaria Slokovenkstya on Tuesday. And I felt the strong urge, is how you say it? I went online and there he was...my Alexei." "We were once inseparable...but the war came to our little village and cleaved us in two. He went off to join his comrades to fight and I was left with but a remembrance. I remember when we first met...this song, this hauntingly beautiful song...it came on the radio, and I did not understand the language except for the words "New York" and "alien". We fell in love that same minute when it came on the radio in our little home town of Bisnyark. I remember Alexei singing "I'm an Enkrishmank in Bishnyark" and we laughed and laughed over our very strong drink. For three days we were lovers...in spirit alone...and we vowed with our first kiss that it would not be our last." "Alas, that was the last I saw of him...I moved far away with an arranged marriage to help my family soon after. I never saw him again until I chanced happening on the...what do you call it...the Facebook? My friend, she send me this photograph and I cried out, 'Constantine, come look...come look!' I could not believe my eyes. 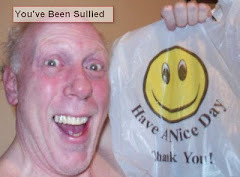 My eyes welled with the tears as my eyes met his in the photo. It was like when we first met...I can not start to tell you of the joy it brings in my heart." Slokovenkstya continued. "My Constantine...he, he was not so happy. It is hard to be happy when the song on the radio when we first met was "My Bologna" by the Strange Yaknovic or something. But as he is probably a fellow Bisnyarkian, I know not for certain, but he or his singing group...it has to be aliens, too, no?" "So, I plan to go to New York to be reunited with 'My Enkrishmank', my first love. I just hope the eyes of his heart feel the same for mine." What's wrong with My Bologna? A touching tale for Valentine's. Well done. :) That would explain it. I lovvveeeee me some Sting!!!! Loved this story too!! I've had a lot of Russians and Eastern Europeans in my classes, and the dialect sounds true to my ear. Nicely done. 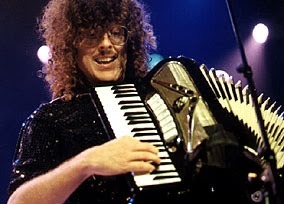 Weird Al... can't imagine falling in love over one of his songs. Falling over in fits of laughter, maybe.